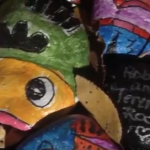 Students at Thomas Elementary School in Flagstaff created a new rock garden on the school grounds recently. The garden of brightly painted rocks represents a school of beautiful fish who are even more beautiful together. The garden was inspired by the book “Only One You” by Linda Kranz. 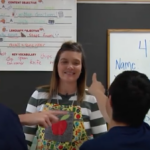 This week’s teacher of the week is Shelly Stearns. 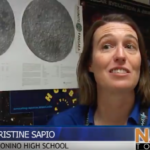 Stearns is a history teacher at Flagstaff High School, who encourages her students to be active learners. 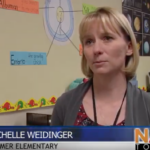 Her classroom utilizes class discussions, and games. After 20 years of teaching at Flagstaff High School and 22 years as an educator, Stearns says she still sees room for improvement. 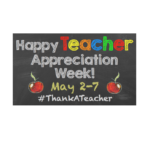 National Teacher Appreciation Week is a chance to thank teachers for their time and effort in helping their students become successful. 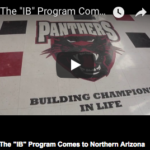 NAZ Today Reporter Drew Miller went to Flagstaff High to learn more. Tony Cullen, Flagstaff High School Principal mentions how if anyone were asked to think of five people who’ve made a positive impact on his/her life, one of them is most likely a teacher. It takes a certain type of person to do all that teachers are expected to do. Cullen mentions how teachers don’t do their job because of the pay, but rather for the love of the kids. National Teacher Appreciation Week is a great opportunity to tell teachers how meaningful they are to the community.